Unfortunately, medical malpractice causes injury and death to thousands of Americans every year. With a fast-paced medical industry that often seems more like a high-speed production line, it’s no wonder that there are so many medical malpractice lawsuits. Even so, it can be difficult to prove that your injury case has merit unless you have an adequate amount of evidence and have it presented in the proper manner. 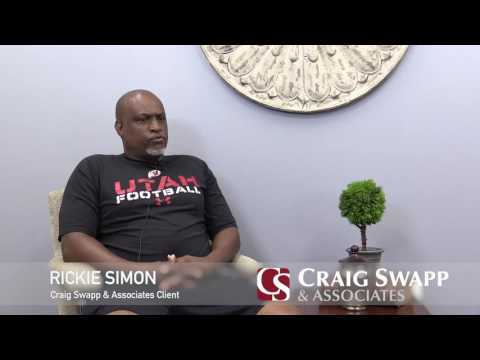 This is where a Boise medical malpractice lawyer from Craig Swapp & Associates can help. You may know for a fact that you are a victim of medical malpractice, but we can help you prove it in a court of law, where evidence is everything. Some victims don’t even realize that medical malpractice has been committed because the healthcare professional didn’t do anything. But medical malpractice also includes acts of neglect. Of course, medical malpractice can also involve a direct act committed by a medical professional that brought unwanted results. Because the statute of limitations for medical malpractice cases in Idaho is just two years, you could find yourself running out of time to file a lawsuit. This is one of the reasons it’s crucial to have a Boise medical malpractice lawyer examine the details of your case as soon as possible. Otherwise, you risk missing out on the opportunity to seek compensation for your injuries and losses. Medical malpractice suits involve presenting evidence that proves the patient was not treated properly. This can include anything from giving you the wrong medication to failing to diagnose you properly. In order to prove this, you need to be able to demonstrate either that an action was taken without your consent or that an action was not performed that should have been. A Boise medical malpractice lawyer from Craig Swapp & Associates can help you gather the evidence you need and manage the case on your behalf. If you have questions or concerns regarding your medical malpractice case, complete the form below or call our office toll free at 1-800-404-9000 as soon as possible.